Not so long ago, the only way to have a half-decent looking animation on a website was using Adobe Flash. Movement and interactive images could help sites engage with their customers and it was therefore a useful tool for some sites. Because, at Seven Creative, we have always focussed on creating usable and optimised websites without sacrificing anything to ‘floweriness’, we’ve generally always avoided using Flash or, at least, only ever used it where appropriate. We could see the usefulness of the software for some niche sites, however, the negatives always outweighed any potential gains. This is why we could see the impending end of Flash when most of the industry was still using this technology. One of the main issues with Flash is that it can’t be read by search engines. Sites that are built this way – or even have areas like their navigation in Flash – will not index for these generally highly important site elements. Opportunities are lost as function is sacrificed to form. One of our other main bug niggles with Flash is that you can’t edit it in the way that you can easily edit HTML using a WYSIWYG editor which is why it’s not something we would feel comfortable providing to our customers. Technology has evolved and there are newer and better methods for providing the same level of animation and interaction but with easily editable content. Roll on a few years and Apple release their range of mobile devices that don’t support Flash. Suddenly, there are a lot of websites that won’t display properly – if at all – on some mobile devices. This shook the industry and signalled the beginning of the end. Android – Google’s operating system – is released and initially supported Flash, however, they’ve recently said that, from version 4.1, they’ll no longer be supporting this anachronistic technology. So, from August 15th 2012, any Android device that does not currently have Flash Player installed will never be able to install it. There is no doubt that other browsers will also begin to end support for this technology over the next few years. 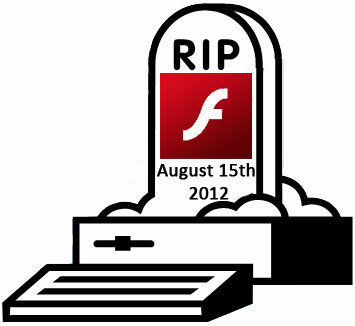 Good news for us and our customers but bad news for the hundreds of thousands of websites out there that rely on Flash. You might think that we’re still OK at the moment as this currently only really effects mobile devices, however, they already account for a good chunk of the visitors to most websites and this is only set to increase. This is before you get us started on the missed opportunities in search engine optimisation terms! If you want our advice, act now. Dumping Flash might not be such a big issue for most sites and may not require a full rebuild. If digital marketing is all about spotting and taking opportunities, seeing an opportunity and ignoring it is madness! 6. 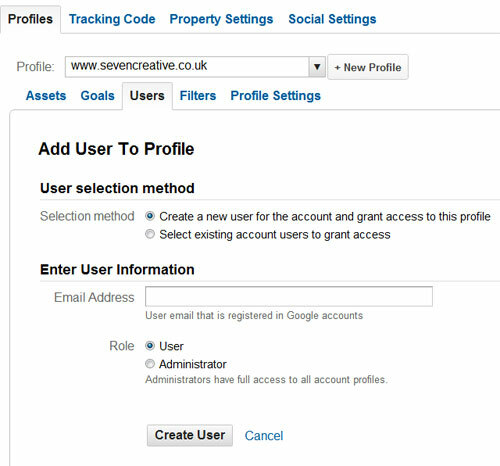 Insert an email address (or choose from one you have used previously) and assign them as either a user or administrator, then press “Create User” (see below). We increase visitors to your website. Here’s the proof! Here at Seven Creative we believe in doing a good job for our customers. 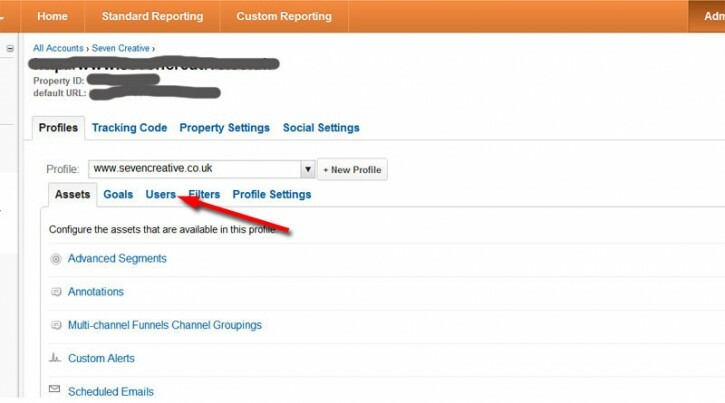 One of the things we don’t tend to shout about, however, is our search engine optimisation activity. When we build a site, it wouldn’t really be fair for us to not build in search engine optimisation features, as once you have at least a basic understanding of optimising websites for organic listing, it’s quite quick to do. We really enjoy seeing website suddenly rocket in the search engine rankings after we’ve had a bit of a tinker with it. And seeing a rise in website visitors is equally satisfying, as we know then that we’re really having a positive effect on our customers businesses. So there you have it! 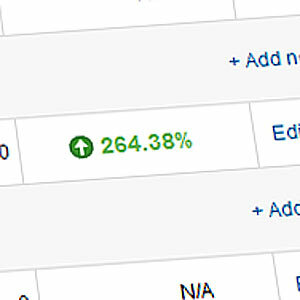 Proof that we can increase visitors to your website. Finally, a new year, a new decade and the recession is over, but… the country grinds to a halt because of a few inches of snow! Don’t you just love being British? Oh well, every silver lining has its cloud!This doesn’t, however, change the fact we’re well into January 2010 and back to the grindstone, looking forward to the challenges this year will bring us! As I write, Mrs. C. is baking us a lovely Steak & Kidney pie to keep our energy levels up as we get back into the swing of things! This year promises to be an interesting one with a new government on the way and the inevitable tax rises that will follow. This, coupled with the all-too-evident ‘pinch’ we’re all feeling due to the economic conditions, means it’s never been more important to invest in working ‘on’ our businesses as opposed to the traditional working ‘for’ them. If you’re lucky, you won’t have come across the Domain Renewal Group (aka the Domain Registry of America) before.Since 2001, they’ve been causing problems for domain owners with their ‘misleading emails’ (Jason Parlour, 2009), ‘hidden fees’ (US Federal Trade Commission, 2003), email scams (Jason Parlour, 2009), mass unsolicited mailings (Spam) and mass unsolicited direct mail. Their normal modus operandi is a practice known as ‘domain slamming’ where they send official looking direct mail to addresses they take from the ICANN register entitled something along the lines of ‘Domain Name Expiry Notice’. These letters are very misleading using highlighted text to imply that a specified domain will expire unless payment is sent for the renewal. Responding to these letters causes the domain registrar to be needlessly moved and the domain Nameservers to be changed. Several brushes with the law and out-of-court-settlements later the Domain Registry of America are still up to their old tricks but now also targeting Europe (also Australia, New Zealand and Canada). If you are unlucky enough to receive a letter or email from them, please just ignore it. It’s not an official notification and responding may, among other things, cause your email and web services to be lost. Fact: the images on your website can make or break your site. Often, our websites are the first impression a potential customer will get of our business and assumptions are quickly made in the same way as when we meet someone in the flesh for the first time.Therefore, presentation is vitally important if we are going to turn potential customers into actual customers. This is why the images we have on our websites must not only be illustrative and relevant but also professional and predictable. 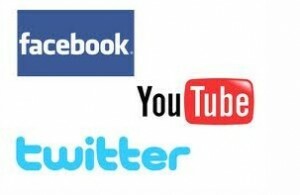 The psychology of the internet is an evolving science just as the web itself is evolving and potential customers are no longer satisfied with poor quality images such as animated GIFs or uncompressed Bitmaps. Having said this, editing your images has never been easier. As long as you follow a few simple rules, you can quickly and easily produce images which will save bandwidth and increase conversion rates. 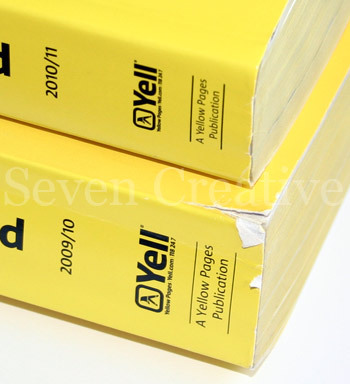 Here at Seven Creative, as we do this for a living, we primarily use the industry standard software for web and print, i.e. Photoshop, InDesign and Illustrator. However, this software is very expensive and difficult to learn. There are, however, many options for free software that is still of excellent quality and will allow you to make all the necessary adjustments to images when editing for web optimisation. The best option at the moment, according to many small business owners I’ve spoken to, seems to be Picasa but there are also many other great alternatives such as Paint.net, Irfanview or GIMP. To learn to use any of these, why not try YouTube – search for ‘ tutorial’, e.g. ‘Picasa tutorial’. If you’re anything like me you learn much more quickly when someone is showing you how to use software as opposed to trying to read the manual and there are hundreds of great tutorials available here. Quality – this is one of the most important factors to take into account. If your images look like they’ve been taken using a mobile phone, you’ll not be taken seriously so invest in quality images. If you’re not able to take the photos yourself, have you considered buying royalty-free stock or hiring a professional photographer? Whatever you do, make sure your images are good quality. Sizing – it is possible to tell a browser to display an image any size you want, however, the best option, by a country mile, is to have the image sized correctly before-hand. This will ensure that the image displays exactly how you want it to avoiding pixilation, unnecessary use of bandwidth, slow display and annoying site visitors. If the space you want to fill is 250px x 250px, resize your image to that resolution before it is inserted. Compression – a JPEG is a compressed raster image and the most popular and widely supported image format, however, the compression is something that can and should be controlled. Some images need to be very high quality whereas it’s not so important for others. Getting the correct compression ratio will mean your images display quickly and you will not use up bandwidth unnecessarily. This is best done by eye, but, as a rough guide, an image with resolution of 100px x 100px (10,000 pixels) should be around the 5kb to 10kb size, an image with resolution of 40,000 pixels should be around 13kb to 18kb or an image with resolution of 160,000 pixels should be around the 40kb to 50kb area. If you compromise on quality you can have smaller images but they can become more pixelated and vice versa. Relevance – this might sound obvious but what is the point of having an image for the sake of having an image? I’m all for use of negative space (as a minimalist at heart) but decisions need to be based on reason. Images are great for breaking up large areas of text and illustrative purposes but they need to relevant. When I studied effective presentations at university, I realised that websites, just as physical presentations, are communicating with people who don’t always respond to text in the same way as each other i.e. some people are ‘readers’ and some are ‘lookers’ – or to put it another way, some people need to read text and some need to look at pictures to get the message. Images need to tell a parallel story to the text and provide the same function in order to cater for different needs. If you remember the primary objective of your website is to funnel potential customer towards the close, whatever that may be, it is sometimes easier to make these decisions. Choose images wisely! This is a brief introduction to the use of images on the internet and I could go on… if you have any questions, please let me know. If you’re using Windows XP, Microsoft provides a free little image resizer add-on. Once installed, right-click on the image or images you want to resize and select this application. Download from here: http://www.microsoft.com/windowsxp/Downloads/powertoys/Xppowertoys.mspx (11th link down from the right-hand column). If you’re using Vista, you could try Image Resizer PowerToy Clone for Windows available from: http://sourceforge.net/projects/phototoysclone/. This is also a free application and works in a similar way to the Microsoft XP version. I’ve not tried this application myself, however, according to the documentation (http://www.codeplex.com/ImageResizer) it is an extended-support version of the Microsoft XP Image Resizer Powertoy so should work in a similar way. As always, please backup your computer before installing any new software and check compatibility before-hand. If in any doubt, please seek professional technical help first. In my book, ‘Got website, what now?’, one of the things I talk about the fact that getting a website produced is only the first tactical step in your online marketing strategy. Each other activity within your tactical plan also has to support and drive traffic to your website/business. Think of your website as the internet “shop front” of your business…people don’t suddenly rush to find you just because you have opened, it takes targeted marketing to let the right people know about your services. This is what will maximise your return on investment.As in any area of business, success comes from focus. A website, unless properly supported, is very unlikely to prove an effective sales tool: You can have the best looking website in the world; however, if no one ever sees it, it is effectively useless. Competitor analysis and keyword analysis and implementation may take a little more time and skill, however, it’ll pay dividends in the future. Seven Creative Search Engine Optimisation services focus on the advanced side and can start to show results very quickly. We work by the half day (4 hours) and prices start from £100. Seeing your website as simply a point-of-contact may be selling it short. You’ve invested time and money in it; the least it can do is give something back!